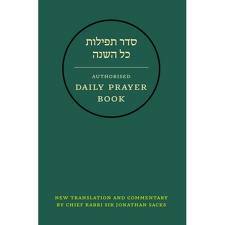 The new Authorised Daily Prayer Book is in the bookshops. It bears the imprint of the elegant pen and lucid mind of Chief Rabbi Sir Jonathan Sacks; the previous edition was reflective of the style and approach of Chief Rabbi Lord Immanuel Jakobovits. Despite the considerable input contributed by Rabbi Sacks, however, I am sure it will still be known as Singer’s, a tribute to the foundations laid by Rev Simeon Singer over a hundred years ago. Since this observation was made a further sheaf of Siddur translations, notably the ArtScroll edition, has made an appearance throughout the English-speaking world. Some have become popular: none has (to borrow Lionel Davidson’s phrase) “matchless literary quality”, that is, until now, when Sacks’ elegant pen has done ample justice to Singer’s tradition. The late 19th century, when Simeon Singer flourished in London as “the well-nigh perfect minister, loved and respected within the Community as few men have ever been” (to quote Redcliffe N Salaman), was the formative period of the Anglo-Jewish tradition. Chief Rabbi Nathan Marcus Adler and his son and successor Hermann stood for firm, centralised religious government (its denigrators called it Adlerism) represented by the Chief Rabbinate and the United Synagogue, with Jews’ College training the clergy to man the reading-desk and pulpit. Singer provided an “authorised” version of the liturgy capable of standardising and stabilising the synagogue service and helping to create an “established” Judaism. The fact that Anglo-Jewry, in Britain and overseas, has by and large remained loyal to the office of the Chief Rabbi owes much to the fact of the Singer Siddur. One can still measure the strength of that loyalty by the number of congregations that use Singer’s. Simeon Singer was born in 1846 to a Hungarian father and English mother. After a difficult struggle he became a minister and served one of London’s poorest congregations, the Borough in South London, from 1867-1879, and one of the richest, the New West End in Bayswater, from 1879-1906. When Gilbert and Sullivan sang of “the very model of a modern major-general”, Anglo-Jewry saw in Singer the very model of a Jewish cleric. He was the favourite marrying minister. No occasion or cause was complete without him: Israel Abrahams, his scholarly son-in-law, called him the communal laureate. It was in his house that Herzl expounded to Anglo-Jewry the idea of a Jewish state, though Singer himself increasingly lost sympathy with political Zionism (in this opinion he was in distinguished company led by Chief Rabbi Hermann Adler). A beloved teacher, Singer’s pupils treasured his lesson notes all their lives. He was an effective preacher, a selection of whose earnest and sometimes forceful sermons was published after his death. He was a caring pastor whose ministrations brought support and comfort to many, not only his own congregants: there was even a case in 1887 when he counselled a young Polish immigrant who was condemned to death for murder and then, after saying the Shema with Singer, walked to the gallows whilst Singer sang Adon Olam. Singer was a religious traditionalist, whose rabbinic learning, largely self acquired, earned him a Continental rabbinical diploma, though out of deference to the Adlers he did not use the title “rabbi”, in contrast to Hermann Gollancz, another scholar with a continental semichah, who insisted that English ministers be permitted to obtain and use the rabbinic title. But he was broad-minded in his traditionalism. In the 1890s he was one of the “Young England” group that urged the Chief Rabbi to sanction alterations to the synagogue liturgy, and a decade later it was only due to the intervention of one of his leading congregants, Samuel Montagu (Lord Swaythling), that he withdrew from his qualified support of the Jewish Religious Union. The JRU later became the Liberal Jewish Synagogue. Singer’s literary monument is his Siddur. He was aware that the sages were apprehensive about translating Hebrew texts into other tongues. Rabbinic sources claimed that three days of darkness followed the first Greek translation of the Torah, deemed the event as tragic as the making of the golden calf, and instituted an annual fast in mournful commemoration. What worried the rabbis was that the original would be forgotten, the people of Israel become disunited and the flavour of the Hebrew be lost. Yet as far as the prayer book is concerned, the halachah was relatively lenient, generally permitting the worshipper who knew no Hebrew to use whatever language they best understood. The first complete Siddur in English was produced by Isaac Pinto in 1766 and published in New York, not – surprisingly – in London. The London Sephardi community had refused to allow publication in England, probably not in defence of the Hebrew original but out of concern that the Spanish-Portuguese current at the Sephardi citadel of Bevis Marks would be superseded by English and disappear. The first Ashkenazi prayer book with English renderings had been edited in 1738 by “Gamaliel ben Pedahzur, Gent”. Singer considered the work had “little knowledge and dignity”. From the late 18th century there were several attempts to translate the liturgy. Other translators included a scholarly hat-maker, David Levi, who had on-going controversies with Chief Rabbi Solomon Hirschell; and in mid-19th century, Rev David Aaron de Sola of the Sephardi community, whose festival prayer-books are still treasured by old Anglo-Jewish families, whose often assimilated scions are quick to dispose of the old books when a pious elder dies. Singer based his own work on Seligmann Baer’s classical Avodat Yisrael, published in Roedelheim in 1868. Baer’s work, though it lacked a translation, was more comprehensive than Singer’s and was accompanied by lengthy annotations. Singer himself had hopes of producing a volume of historical and devotional commentaries; when he died in 1906 his plans were not far advanced and Israel Abrahams brought the project to fruition. Chief Rabbi Hertz made use of Abrahams’ work in preparing his own annotated prayer book. The English translation on which Singer lavished so much love and care keeps close to the Hebrew but has a prose rhythm of its own, showing deep insight into the original text and a mastery of English that derives from wide English reading. Since his time, minor changes in English usage have overtaken his translation. Thus the 1962 edition replaced “quicken the dead” by “revive the dead”. Hugh Harris and Dr Leonard Snowman made other recommendations on the basis of which some changes were made with the sanction of Chief Rabbi Israel Brodie. In a few respects Singer’s rendering was not completely in accord with the Hebrew. Thus in 1962 “unite to form synagogues” was replaced by “establish synagogues” in the prayer for the congregation, and d’vir betecha was translated “thy most holy house” instead of “the oracle of thy house”. The centenary edition of 1990 continued this process of detailed examination and adjustment, improving the rubrics and headings and further eliminating the need for cross-reference where services were not given in full. It also included a series of explanatory notes by Lord Jakobovits with a revised translation by Rabbi Eli Cashdan. The work which Chief Rabbi Sacks undertook with the support of a Scholars’ Committee, of which I was honoured to be a member, maintains Singer’s foundations, built on the more recent editions, and added a number of valuable new features. An interesting innovation is the title-page description of the book as Minhag Anglia – “The English Usage”. In fact there are features that depart from Minhag Anglia, though it might be argued that it is the nature of Minhag to continue to evolve and be dynamic. There is, however, still a problem. Do we measure Minhag Anglia against Duke’s Place of 150 years ago, Hampstead of fifty years ago, or Stanmore of today? And how do we delimit Minhag Anglia – in liturgical terms alone, or more broadly? Since Singer’s time, seminal events have transformed Jewry and Judaism. But few Siddurim accord liturgical recognition to events and experiences such as the Holocaust and the establishment of Israel. The 1962 revision of Singer’s did admit Rabbi Brodie’s prayer for Israel, though many wondered why it took so long. The 1990 edition rewrote this prayer with a reference to the Israel Defence Force. Rabbi Sacks has now added an order of service for Yom Atzma’ut and Yom Y’rushalayim, (though he is non-committal in relation to saying a b’rachah for the Hallel), but he has failed to bring the Holocaust into a reflective liturgical framework. Everywhere in the Jewish world, community commemorations of the Sho’ah largely bypass the synagogues, denying us the opportunity to weep over the tragedy in the way in which Jews always expressed themselves – in the idiom of worship. At least let the Siddur make available a version of the Tishah B’Av prayer, Nachem, that acknowledges the reality of a rebuilt Jerusalem, but Rabbi Sacks has eschewed this opportunity. It might also have improved the book had there been guidelines for worshippers who are visiting or living in Israel. A few other features are missing in the new edition. There is no index of Psalms, nor the customary verses that follow V’Zot HaTorah. The instructions for duchaning do not accord with the developing usage. There are a few typographical errors. But these are minor quibbles. The work is magnificent in appearance and substance. It is beautifully designed, well printed, firmly bound, easy to hand and eminently legible in both Hebrew and English. There are excellent notes and introductions. Whilst building on the Singer tradition, it is Rabbi Sacks’ Siddur. The elegance of his English style, known to readers from all his writings, makes the translation a triumph; the exactness of his scholarship makes the commentary urbane, interesting and informative; the clarity of his liturgical rubrics makes the Siddur practical as well as devotional. To try it out, I have been using it for my own davening – and paradoxically, I have found it distracting, because on every page my attention has wandered from the Hebrew to the facing English translation to see how the editor has handled the sometimes complex nuances of the original. This of course will settle down, and I look forward to utilising the book for many years to come. I warmly recommend it. This entry is filed under Articles, Book Reviews, British Jewry, Prayer.